This Is Transmedia! | Is Transmedia Just Marketing? 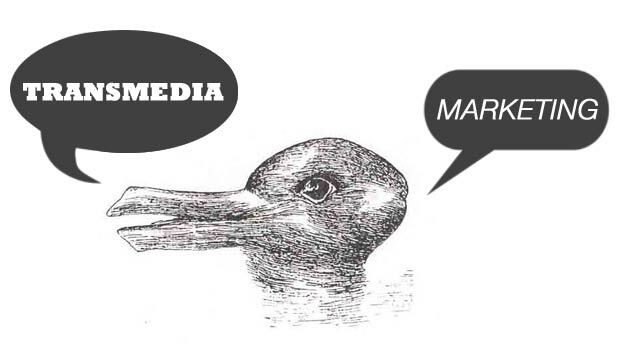 Transmedia gets a bad rap from some who claim it’s just disguised marketing. It’s easy to see why: both use everything from video, music, games, interactive websites, printed materials, and events to reach and engage an audience. But it’s a shortsighted comparison because it completely ignores intent. If you go into Google docs and start typing a new document, does it matter if you’re writing a novel or a marketing strategy? The technology platform doesn’t care, but your intent determines what you end up creating. Platforms don’t matter for transmedia, they only exist to tell the story. A transmedia project won’t be interesting simply because it uses multiple platforms, it’s interesting because of how it tells a story using those platforms. Julie Keck & Jessica King created an interactive map of TILT: The Town that combined characters and landmarks from the film with fake homes and biographies of their Kickstarter backers. That’s transmedia. I was inspired by this for a film I made and created an interactive map that combined filming locations with screenshots in order to generate interest in the city where I filmed. As much as I want to pretend it’s a cool transmedia experience like Tilt, it’s marketing. Same platform, different intentions. Here’s how we can help fix this: If you’re creating transmedia, don’t try to pass off your marketing activities as transmedia storytelling. Talking to your fans on Facebook might be a good way to build an audience, but that’s marketing. However, let’s say you decide to have a character interacting with fans on Facebook in a way that bridges the real and fictional world… that is transmedia.